Take in a chorus or jazz performance, or maybe both, to get yourself humming for the holidays. Fa-la-la-la-la-la-la-la! Cheers from Tidewater Community College’s chorus and jazz ensembles. Two holiday concerts are on tap this holiday season. TCC Chorale offers the same concert at Trinity Episcopal Church at 500 Court St., in Olde Towne Portsmouth on Nov. 17 at 7:30 p.m. The performance is part of the Olde Towne Merchants Holiday Open House. If you get there early, stop by the opening reception of TCC’s 48th Annual Art Faculty Exhibition at the Visual Arts Center (VAC) at 6 p.m. A sale of student work will also take place from 5 to 8 p.m. at the VAC. favorites at its holiday concert. 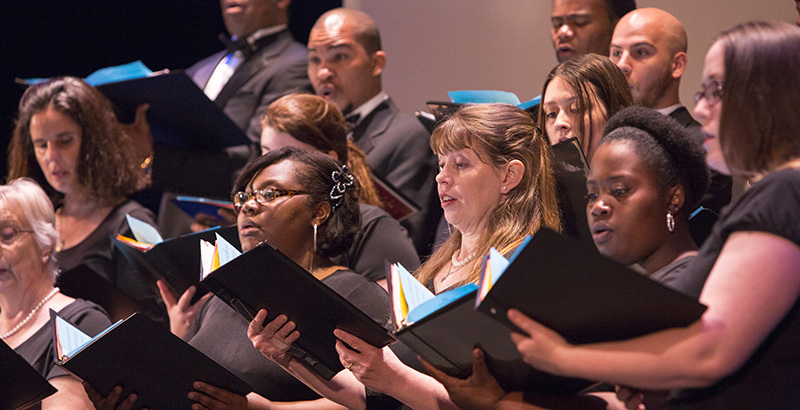 TCC Chorale is directed by David Warren, instructor of music, also the inaugural recipient of the George B. Vaughn Award for Outstanding Adjunct Faculty by the Virginia Community College System. 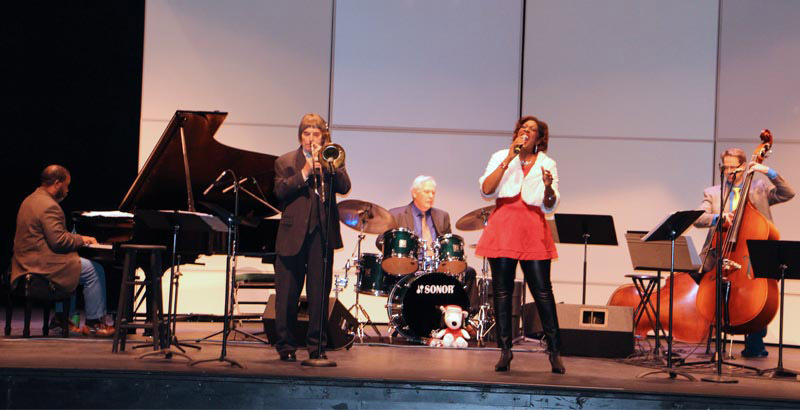 Blue Moon Jazz is directed by Mark Denison, program head for TCC’s Department of Music. The group includes nine musicians playing everything from piano to trumpet and tenor sax.